Without Runyon Canyon, where would Angelenos get their fill of chiseled men (one of which is Channing Tatum) and fully made-up women running with equally well-groomed puppies!? 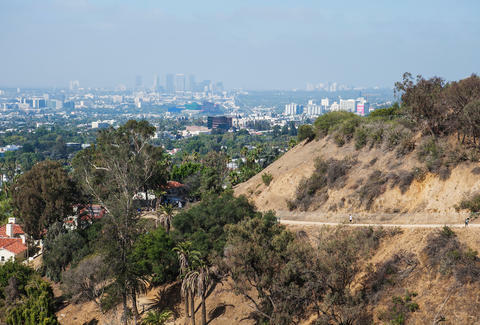 It's a question LA locals are going to have to ask themselves for real now, because Runyon Canyon is closing for three whole months. According to NBC Los Angeles, Runyon Canyon will be closing from April through July 2016 while a water line is replaced. This means no more pre-brunch power hikes/gossip sessions with "the girls" and no more McConaughey lookalikes casually taking an after-hike piss until late summer. Actually, everyone could just move to one of these hiking spots. Still though, your unique beauty will be missed, Runyon. At least, temporarily. Kara King is a News Writer at Thrillist and is never the best dressed person at Runyon. Send news tips to news@thrillist.com and follow her at @karatillie.